New Delhi : The introduction of the Goods and Services Tax deserves to go down as the most important tax reform done till date. Everyone who has worked on bringing it about deserves a share of the credit. What remains is to ensure its smooth introduction, and to look back on what might have been — if all the compromises made to bring it about had not been required. The 13th Finance Commission, chaired by Vijay Kelkar, put out that the GST could have a single rate of 12 per cent, to make it revenue-neutral. The logic was that a single-rate tax would eliminate classification disputes, simplify tax administration and make life easier for the taxpayer. 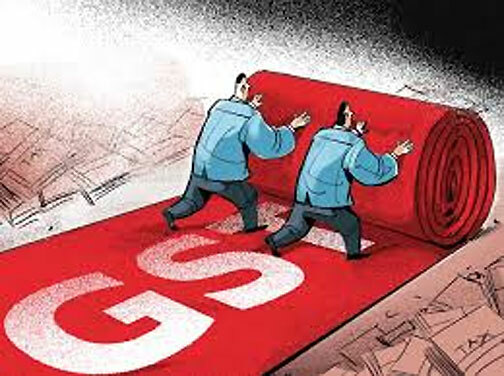 In its conception, the GST would incorporate central and state excise and sales taxes, and also local taxes like octroi and stamp duties, thereby making it possible to get rid of inter-state barriers to trade, the halting of trucks at state borders, and other inefficiencies in the system. The GST would also make tax evasion more difficult, plug holes in the tax collection system, and therefore yield the same revenue at a lower level of tax — thereby helping also to tackle black money. On the basis of these assumptions or propositions, two specific promises were held out: That the efficiency gains flowing from the system as described would boost the gross domestic product by 2 to 2.5 per cent, and exports by 10 to 14 per cent. The other claim was that a GST, by eliminating tax on tax (cascading taxes through the production chain) would reduce costs, and therefore prices throughout the economy. The ‘one country, one tax’ promise has given way to four tax rates, in addition to a zero rate and sundry cesses over and above the peak rate, while key items such as petroleum and alcohol are out of the net, to be taxed separately. The 12 per cent single rate has given way to a modal (most common) rate of 18 per cent, with other rates above and below it. Of the 1,211 items listed, 62 per cent are to be taxed at the higher slabs of 18 per cent and 28 per cent, along with additional cesses, and another 17 per cent of the list at the originally proposed 12 per cent. Barely a fifth of the total will attract tax at the lowest slab of 5 per cent or be exempted (primarily agricultural products). Services, too, will attract multiple tax rates, with 18 per cent once again the standard rate — a clear increase from the present, instead of a reduction. Some stamp duties may now continue. So it is not one tax, and not one rate. A keen observer has pointed out that, as now proposed, milk and milk products will attract zero tax or tax at different rates, depending on whether it is plain milk, buttermilk, curd, flavoured milk, condensed milk, unbranded cottage cheese, packaged cheese, butter, and so on. Travel is to be taxed, but not religious travel; so who is to determine whether a trip to a holy city is for a religious purpose, or for business? Meanwhile, the promise of greater tax collection efficiency implied that lower rates would deliver revenue-neutrality. But the effort now has been to merely match new rates with the old ones. That assumes no improvements in collection efficiency. If the rates are broadly the same and efficiency gains do materialise, indirect tax revenue will increase. That must mean higher prices on average. Reacting to the multiple rates, Dr Kelkar has pronounced that the bulk of the possible gains on GDP will not materialise. On the other hand, in the real world of policymaking, second-best solutions usually have a greater chance of seeing the light of day. Perhaps the lesson for economists must be that what they propose as clean solutions will be subjected to the reverse alchemy of the political economy, plus in this case, the tax collector’s hunger.